a public service at Westminster Abbey since they were married there in April 2011. Both the coat and matching lace dress were bespoke pieces from Jenny Packham. The collarless jacket featured three-quarter sleeves, top stitching, pockets and an open front. 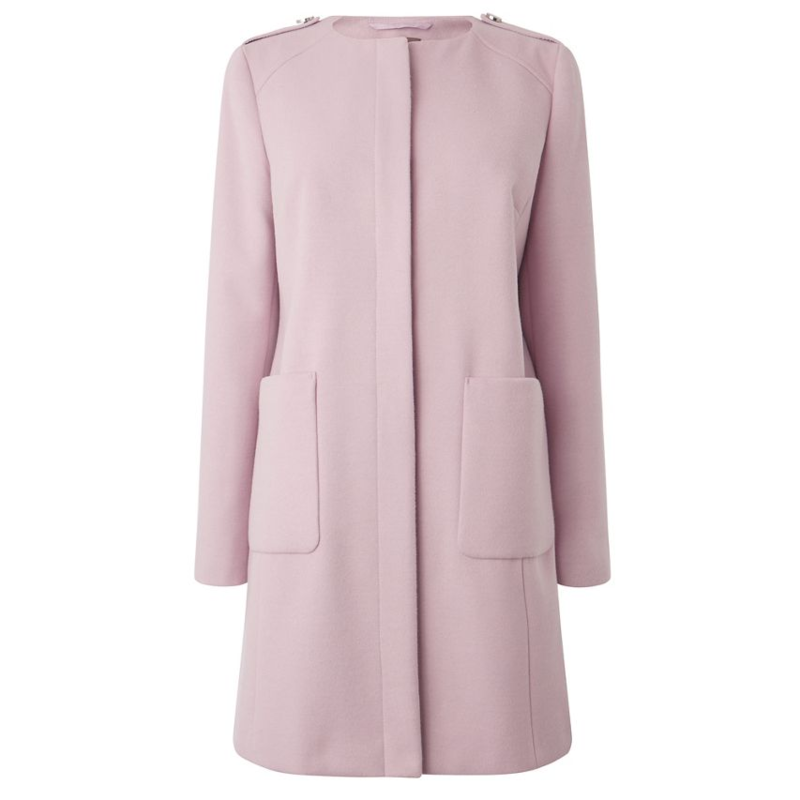 STYLE FILE: Jenny Packham Blush Pink Topper Coat as seen on Kate Middleton, the Duchess of Cambridge.